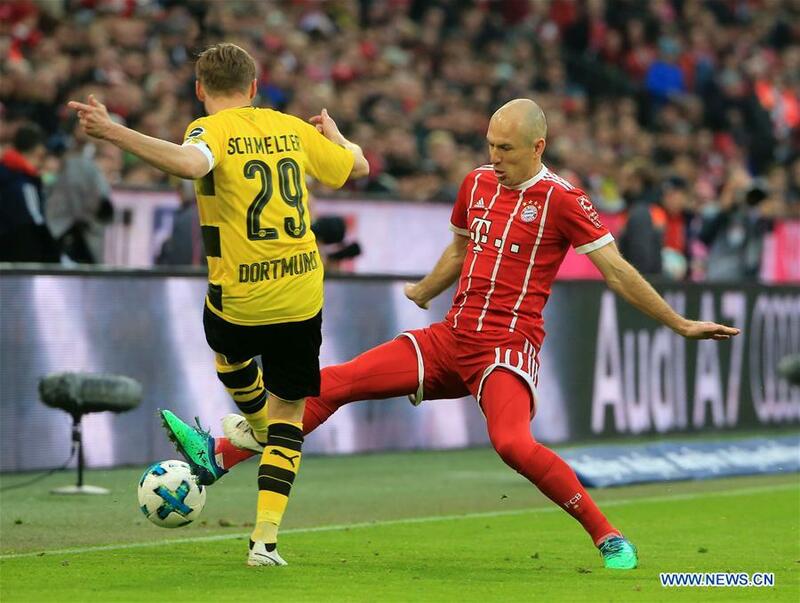 It's 24 years since Bundesliga matches were first broadcast live on Chinese television, with the German competition going on to establish itself as a firm favorite with soccer fans here. Now, in the face of increasingly stiff competition from other leagues and sports, the Bundesliga is upping its game in the battle for viewers in the world's most populous nation. "Our long-term target is to become the No 1 European league in China," Bundesliga International chief executive officer Robert Klein said on the sidelines of a forum with the league's Chinese rights holder, PP Sports, on Wednesday in Nanjing Jiangsu province. "We want to be here to establish a great and close relationship with our fans and our partners, to be able to understand how they consume the league week in, week out. Bring experts here and understand the culture inside and outside. "In the short term, we have a 12-month plan. We want to work closely with our partners Suning Group and PP Sports. We want to set up workshops and understand the different work streams to develop the league." PP Sports, China's leader in digital sports media, has added the Bundesliga to its portfolio, which also includes domestic rights for Spain's La Liga and the English Premier League. PP Sports' parent company, Suning Group, which also owns Serie A giant Inter Milan, has secured exclusive audio-visual rights for the Bundesliga on the Chinese mainland in a five-year deal that began at the start of this season. The Bundesliga's main competition comes from La Liga and the EPL, whose clubs' big budgets have generated unrivaled influxes of superstars. But Klein is confident the Bundesliga can stay competitive and win back fans. "Different markets have different superstars. The Bundesliga has its own superstars like Robert (Lewandowski), Arjen (Robben), Thomas (Mueller). We will try to understand what the Chinese fans want. I think we will bring more superstars back to play in the Bundesliga," he said. "In terms of the transfer market, Bundesliga clubs also spend good money on players. Maybe not crazy money, but enough to create a very strong league. We will keep in touch with fans and understand what they want. "Secondly, apart from superstars, we want to create a league with which they can exchange and interact. We will reach our fans across media platforms, like our partner PP Sports. "Besides, now we have six Bundesliga clubs that have opened offices in China. "Also, Bayern Munich will play a Chinese team in May. More clubs will be coming to China to play friendlies. These are efforts made by the league and clubs to create a stronger fanbase, step by step." Bringing Chinese players to the Bundesliga is also high on Klein's agenda, although individual clubs will make the ultimate decisions. The arrival of China international Wu Lei at Spain's Espanyol in January has proved a massive money spinner and ratings winner for the Barcelona-based club and La Liga. Klein is well aware the Bundesliga would benefit from a similar player transfer. "Former Chinese international strikers Yang Chen, Shao Jiayi and Xie Hui had a successful period of their careers in Germany. It's a good memory for Chinese fans," said Klein. "Fans have more passion and motivation to follow a league or a club if they have players from their country. "Having a Chinese player in the near future is the aim. The clubs who have offices in China, they have very close contact with Chinese clubs. They are also creating a lot of grassroots opportunities for young players in soccer schools. "I'm certain we will have Chinese players in the Bundesliga sooner rather than later. "One of the most important incentives for Chinese fans to follow a league is having Chinese players. We can see the Chinese Super League is raising its bar and developing quickly. It will not be long before we see Chinese players in Germany again." The last Chinese player to see first-team action in the Bundesliga was current Shandong Luneng playmaker Hao Junmin, who suited up for Schalke in 2010. Unlike predecessors Yang, Shao and Xie, Hao failed to impress and returned home a year later. The Bundesliga's China office is the league's second base in Asia, supporting a Singapore operation that opened in 2012. The league also opened an office in New York last year and has a strategic partnership with IMG Reliance to develop soccer in India. Six Bundesliga clubs have offices in China: Bayern Munich, Borussia Dortmund, Borussia Moenchengladbach, Schalke, Wolfsburg and Eintracht Frankfurt. Around 67 million Chinese fans say the Bundesliga is their firstchoice league. Skill level and quality of play are cited as the main reasons the Bundesliga is beloved by soccer fans in China.